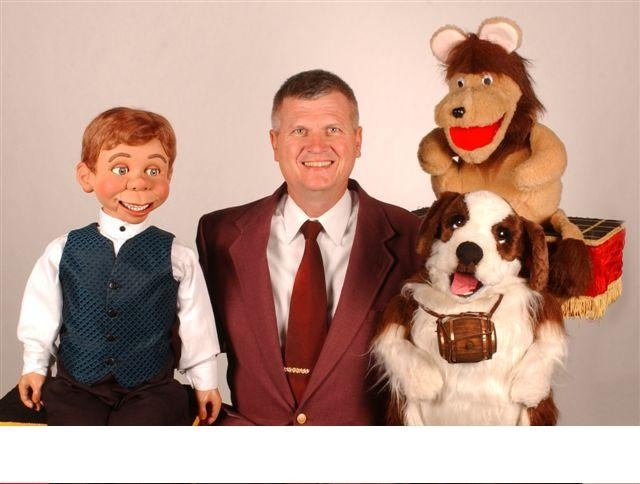 "The Fun Factory" and "Steve & Alex Ministries"
Thank you for visiting the home page of ventriloquist and illusionist, Steven Parker. If you're looking for wholesome, family entertainment, then you've come to the right place. Steven Parker is an entertainer who uses illusions, comedy, ventriloquism, music, and balloon sculpting to engage audiences of all ages. His programs can include anything from escapes, stage illusions, comedy magic, to skillful sleight of hand. Steven received the "Performer Elite" rating in 2007 for his ventriloquist skills. Steven's shows are not just for kids; he is equally adept at entertaining all ages. More than mere entertainment, Steven uses his programs for secular family entertainment and church programs to present the Gospel of Jesus Christ. It is a presentation for all ages and events. We invite you to explore this site to learn more about how The Fun Factory and Steve & Alex Ministries can partner together for your event. If you're ready to schedule a performance, or if you have any questions at all feel free to contact us.